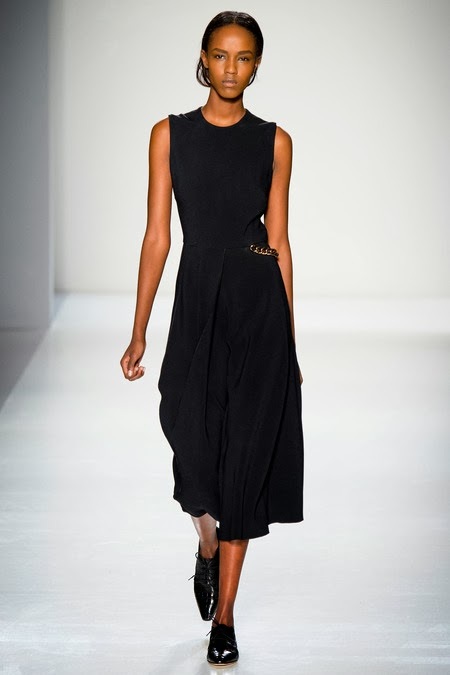 Twenty-three year old Leila Ndabirabe (Nda) was one of the most captivating faces that IMA encountered at Oscar de la Renta's Fall/Winter 2014 castings. 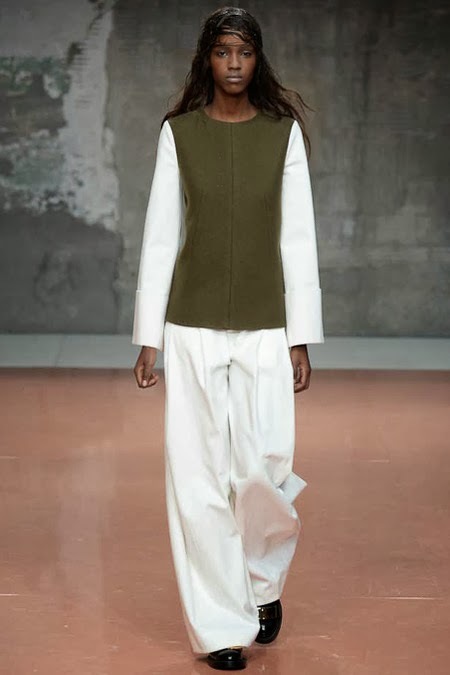 Hailing from Burundi and raised in Belgium, Ndabirabe was impossible to miss throughout the New York collections championed by casting director Russell Marsh who featured her as a semi-exclusive at Victoria Beckham and at Tommy Hilfiger. 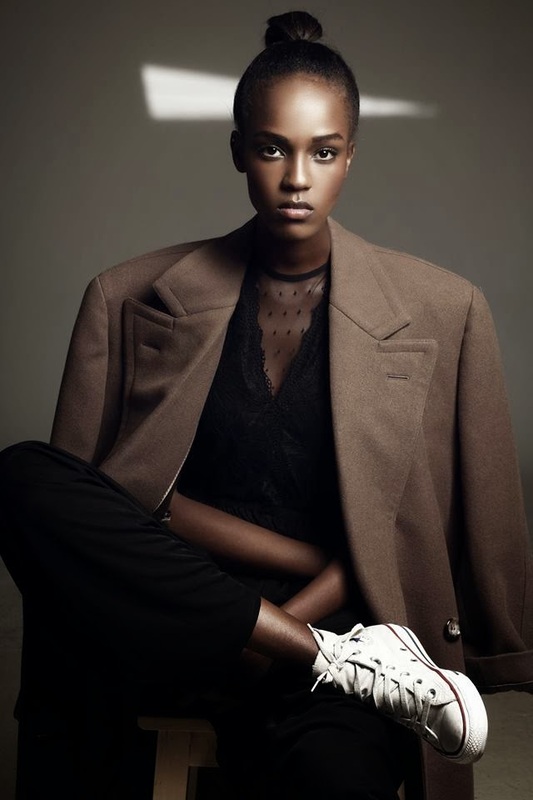 Blessed with a magnificent 180 cm silhouette, hypnotic brown eyes, and a perfectly ovular face shape, Ndabirabe charmed all in her midst with her regal runway composure. Represented by New York Model Management, Ndabirabe carved up New York's runways with appearances at Marc Jacobs, Rodarte, Oscar de la Renta, Tory Burch, Hugo Boss, Marchesa, and Ohne Titel. 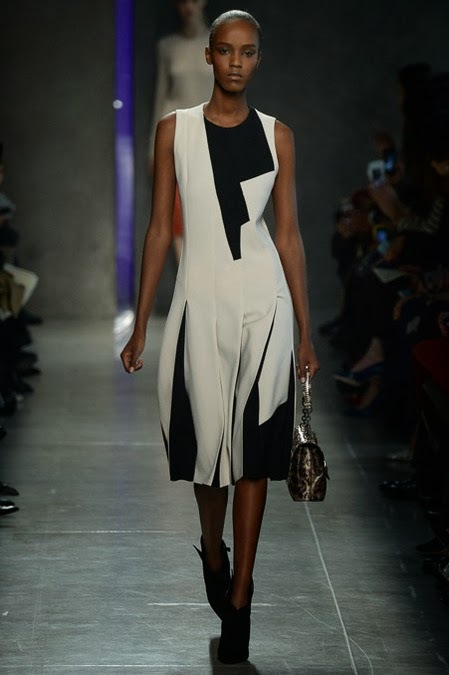 Opting to skip the London collections, Ndabirabe's picked up speed in Milan at Versace, Gucci, Roberto Cavalli, Sportmax, Emilio Pucci, Bottega Veneta, and Marni, ensuring that the issue of ethnic diversity remained omnipresent in the minds of casting directors, designers, and show attendees. Ndabirabe's combination of disarming good looks, good old fashioned savour-faire, and intelligence - she speaks six languages fluently and is a law student at the University of Libres in Brussels, will serve her well as she navigates the final leg of the Fall/Winter 2014 collections in Paris. Burundian pride... keep on shinin Leila!!! Way to go. You may become the first Burundian Supermodel!